The WWEA is holding a series of three social justice forums between now and the end of the year. Each forum will be led by activists from campaigning groups in the Wellington region who will introduce a social justice issue before leading participants in debate, discussion and other activities. At our first forum activists from Peace Action Wellington will lead a discussion on Aotearoa and the Arms Trade. The session will offer participants an opportunity to take part in a short, non-violent direct action training session, although participation is not required. Please join us on Tuesday 16th of October 2018 at St. Johns in The City (corner of Willis Street and Dixon Street) from 6.00 pm to 7.30 pm. 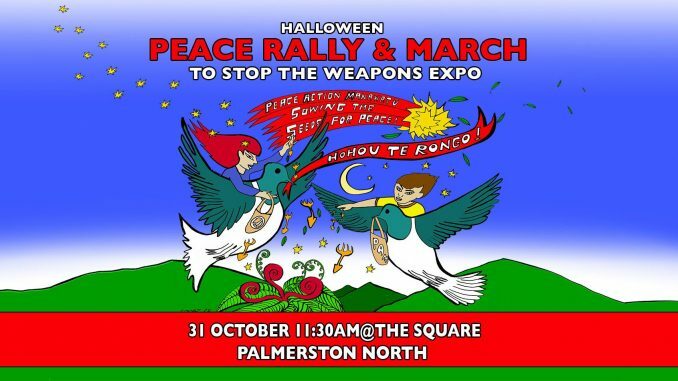 Plans to protest the upcoming Weapons Expo in Te Papaioea/Palmerston North on the 31st of October will also be discussed. Entrance is free but you will be invited to donate to the WWEA.